There are some changes to our Blog Hop, and we hope you will be pleased with them. Be sure to look over the changes before hopping along. Blog Hop guidelines can be found HERE. Commenting and doing the tutorials end sooner. There will be prizes given for commenting and for doing the tutorials. Each winner will be chosen by Random.Org. Large stamp set for commenting. Mini stamp set for doing the tutorial, and everyone doing the tutorials will earn a Tutorial Badge. AUTUMN FUN! Prize for Commenting is "BIG TREES." You will have until Friday, 3pm CT, Aug. 26th to comment and do the tutorials. 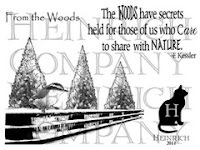 Prize for doing one of the tutorials is the mini stamp set "From The Woods "
MFP Tutorial Badge awarded just for trying one of the tutorials. Here it is -- the final day of this month's Blog Hop. My first card for today is a tri-shutter card, which I really think is a fun technique. The MFP Stamp Shop sets that I used on this card are the Autumn Friendship mini set and the Autumn Glory set. I have a second card for today. Autumn is for football! Today is my son's birthday. He is (as am I) a huge fan of the Miami Dolphins. I pulled out a fun set to make this Center Step card using the colors of the Dolphins. A little paper-piecing allowed me to have their logo on the grill. 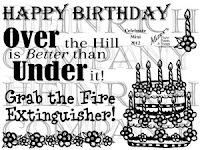 I hope he likes this card! 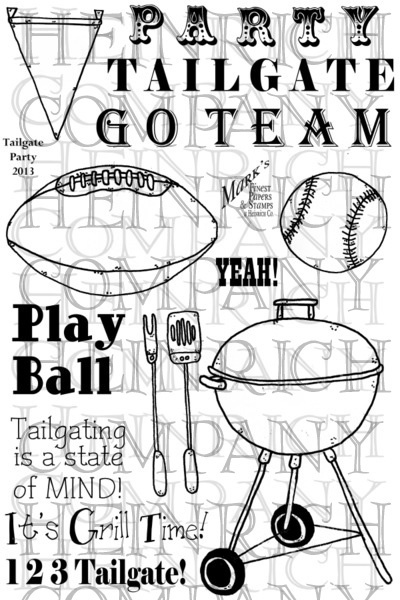 The MFP Stamp Shop sets used on this card are Tailgate Party and the Celebrate Mini set. We hope you have enjoyed the Hop and have been inspired! Get to work on the tutorials and show us what you make by 3pm CT today and don't forget to be commenting! 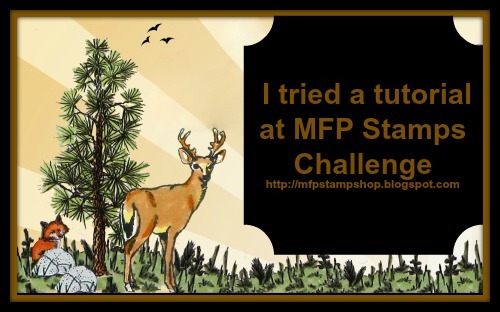 Come back to the MFP Stamp Shop Blog on Aug. 27th to see if you are a winner!! The technique I'm using for my card for today is one I learned several years ago, the Cascading Card. 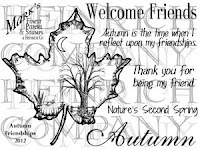 The MFP Stamp Shop set that I used on this card is Autumn Splendor. Enjoy the Hop. Come back each day to be inspired! Get to work on the tutorials and show us what you make by Aug. 26, 3pm CT and don't forget to be commenting! 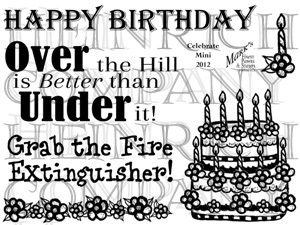 Come back to the MFP Stamp Shop Blog on Aug. 27th to see if you are a winner!! It's Liz's last week as hostess for the CCEE Challenge, and she really gave me a challenge. She writes: "Herbs and plants add so much to our lives, so in honor of this unusual day, make a card with an herb or plant on it. I know we have lots of followers who love gardening, so any of these images would work great." I have no images of herbs, so I opted for a vegetable garden. I hope that qualifies for this challenge. 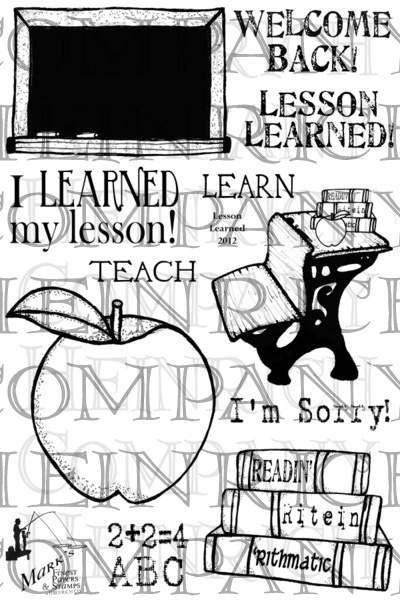 Check out the CCEE Stampers Blog to see what the rest of the team created. 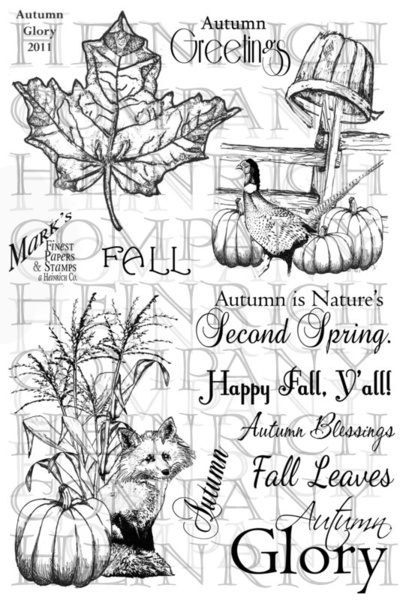 For the second day of the Autumn Fun Blog Hop, I decided to do a technique that I just recently learned. It's sort of a combination of a gatefold card and an easel card. When it is closed, it just looks like your standard gatefold card with a belly band. The surprise comes when you take off the belly band and open it up. Voila!!! Pretty cool, no? 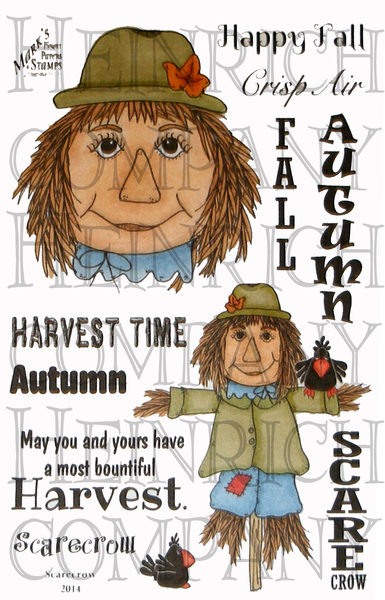 The MFP Stamp Shop set that I used on this card is Scarecrow. I decided to make a second card today, using a technique to which I often return -- the Side Step Card. 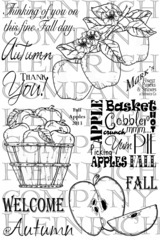 The MFP Stamp Shop sets used on this card are Fall Apples and Lesson Learned. 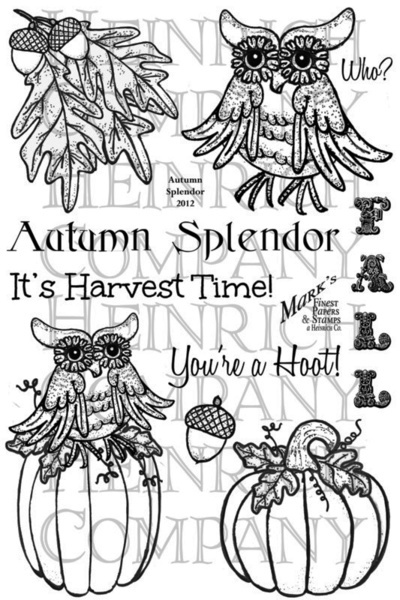 As the title of this month's Blog Hop is Autumn Fun, I decided that I would do things that are fun for me -- techniques. Each day I will have a card or two that use a different technique. My first technique is a Shaker Card. 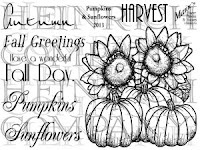 To make my card, I stamped the image on the right side of a piece of white card stock, carefully cutting out the pumpkins. Then I stamped the image again on a small scrap and formed the shaker box with foam tape around the pumpkins. After brushing the sides of the foam tape with baby powder, I added the seed beads and covered the box with acetate. Then I glued it to the under side of the larger piece of cardstock, lining up the images. I put additional strips of foam tape around the edge of the card stock panel so that it would sit flat on the card base. Here's a close-up of the shaker portion of my card. 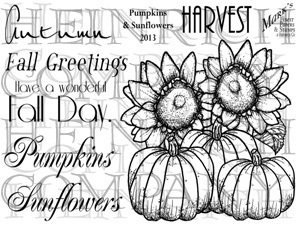 The MFP Stamp Shop set that I used on this card is the Pumpkins and Sunflowers mini set.